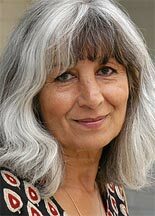 Please use this site to find out more about Mimi’s poetry, as well as her work as a tutor and editor. This site is easy to navigate – use the menu bars at the top and side of each page. Mimi is the founder of The Poetry School and was the Coordinator from 1997–2004. She is a core tutor for the School and has co-edited its three anthologies of new writing published by Enitharmon Press. She is also a freelance poetry tutor and has worked with arts organisations such as the Arvon Foundation and the South Bank Centre and has taught at universities in the UK, Europe and America.